Jack left behind his small town upbringing in Hollow Valley and hasn’t looked back in six years, but one day he gets a call from his childhood sweet heart, Tess, telling him his sister, Jane has been murdered, compelling him to return to Hollow Valley and the scene of her death. Jane leaves him a trail of clues as to what’s actually going on in his hometown, but the more he finds out the greater the danger to himself and his loved ones. I thoroughly enjoyed reading this thriller with a heart. I enjoyed the logical way the plot progressed and the depth of emotion between the characters in this thriller. 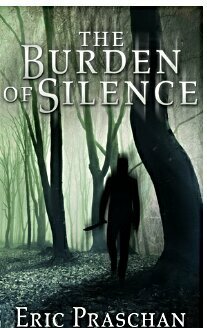 I had guessed the ending, but it was still a page turner and a good read for mystery/suspense thriller fans. The action at the climactic ending was quite invigorating too.